Just because you know your current age doesn’t mean that you know what your real age is. Your biological age can be considered as your real age. Your real age can be determined by many factors including your body mass index, your health in general and any habits or attitudes that you have in your life. Your real age can be determined heavily by your body mass index. This refers to the quality of your body with regards to your height and your weight. If your BMI is at a level that is too high or low you may be obese or underweight. This can cause you to become more likely to have a higher biological age. When you are at a healthy weight for your height and gender you will be more likely to have a lower biological age. It helps to talk with a doctor for details on your individual BMI. Your general health is another consideration to use. This is something to watch for in that if your digestive system is not working properly your biological age will be higher. Also, if your immune system is weak you will become more susceptible to colds and other conditions and this can cause your biological age to increase. General types of habits that you may partake in can impact your health too. For example, people who exercise more often generally have lower biological ages than others. There are all sorts of toxins that you can come into contact with in your everyday life including smoke from pollution or cigarettes and alcohol that you can consume over time. When you consume more alcohol or smoke more often your biological age will increase because of the toxins and free radicals entering your body. The attitudes that you have towards your life can be a major part of your real age. 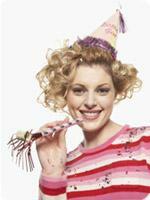 When looking into what is your real age you should look into what attitudes you have and how they relate to your age. For example, if you are old enough to be considered a senior citizen and you life with attitudes that are more common among younger people your biological age could be reduced. The last thing to consider when looking into what your real age is deals with your outlook on life in general. When your outlook is more positive it will be easier for you to be more active and to do more things for yourself. 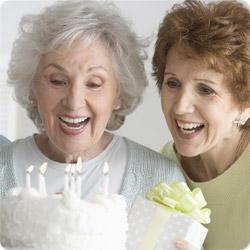 As a result your biological age can decrease over time with a good outlook on life. A person with a negative outlook, on the other hand, will be more likely to have a higher biological age. There are many things that can be used to help with finding out what is your real age. These include considering your health and the body mass index that is involved and looking into any habits that you may have in your daily life. Your outlook on life and the attitudes you have towards certain things can impact your real age too. Is there any scientific ways to measure biological age? The most latest and the most accurate way to test your biological age, to track biological age changes and to be aware of a hidden health condition, is Biological Age Test.